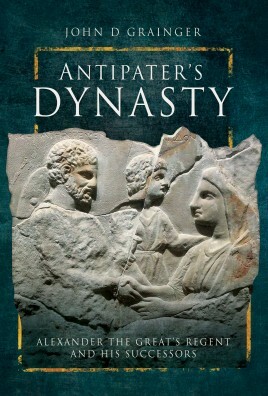 Antipater was a key figure in the rise of Macedon under Philip II and instrumental in the succession of Alexander III (the Great). Alexander entrusted Antipater with ruling Macedon in his long absence and he defeated the Spartans in 331 BC. John D Grainger is a former teacher and historian of great experience, with a particular interest in the Classical and Hellenistic Greek periods. His many previous works include five for Pen & Sword: Hellenistic and Roman Naval Wars (2011), The Wars of the Maccabees (2012), Traditional Enemies (2012); Roman Conquests: Egpyt and Judaea (2013) and The Rise of the Seleukid Empire (2014). He lives in Evesham,Worcestershire.